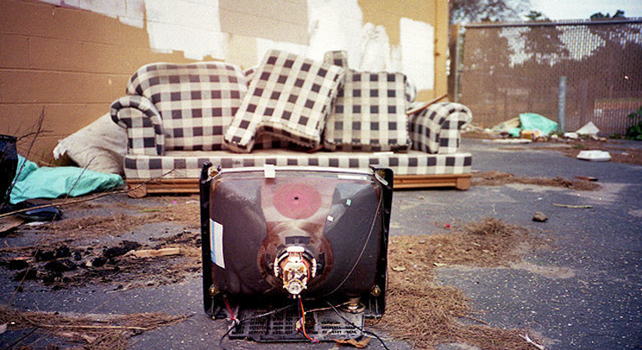 A slick new Internet and TV provider just stomped into Kansas City residents’ living rooms. For $120 a month plus a $300 installation fee (that’s waived if you sign up now and commit to two years), customers get the fastest broadband web access in the country, hundreds of channels (minus HBO, AMC, and some other notables), and a DVR-like service that records up to eight shows or movies at once and stores 500 hours of HDTV–or your photos, video, and music, which you can then access from any device in your home. Along with the service comes a shiny new tablet loaded with the remote control app that lets you search all of your stored content (it also works on Android and iOS devices). It’s not cable. It’s Google Fiber. Today the search giant announced its planned services for Kansas City’s Google Fiber network. In doing so, it also revealed more about its march into the hardware business and how it plans to literally lay the groundwork for a massive new national content business to compete with cable. Suddenly it makes sense why mayors were swimming in icy water and renaming city landmarks to win the project for their burghs. Google Fiber TV reimagines the typical cable hardware setup with three Google devices–the Network Box (the modem), TV Box (the cable box), and the Storage Box (the DVR). Yes, that’s still a big rig, but together, along with a terrabyte’s worth of storage in the Google Drive cloud locker ($600 a year a la carte), the three pieces of hardware house virtually all of the media you create or consume–on almost every imaginable device you use to create or consume it. Plus everything’s searchable by voice and text–on-demand video, web content, live TV, and home media content. This is Google, after all. And lest anyone feel like they’re getting too little gear for their dollars, Google throws a new, fully functional Nexus 7 tablet in with the package, loaded with the app that controls everything. 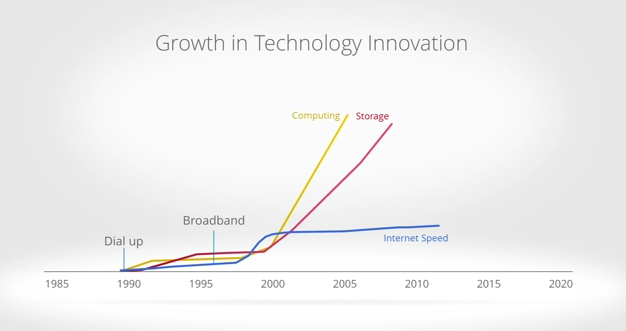 Google first teased Fiber in 2010 to deliver broadband at up to 100 times faster than current Internet speeds, which lag behind innovations in computing power and storage. Google says U.S. Internet speeds are currently the slowest of those in any major global country. Google Fiber offers both upload and download speeds of a gigabit per second. (To put that in perspective, with Google Fiber you could download more than 40 songs at 3MB each per second.) For now, Google Fiber is only available in the Kansas Cities (Missouri, Kansas). Google’s also offering broadband-only packages for $70–that gets customers the 1Gbps uploads and downloads, and the $300 setup fee is waived if you commit to only one year of service. By comparison, the 20Mbps “Performance Internet” offered in Comcast bundles starts at $69.99. Google is also offering a third level of customers free monthly Internet for seven years at regular old non-Fiber speeds if they pay the $300 fiber installation–a freemium model that assumes customers will come around to the higher-tiered plan. The only hitch with all of this is that Google Fiber will only roll out “fiberhoods”–places where groups of 40 to 80 people “rally” and pay deposits of $10 each. Once a “fiberhood” is formed, Google will also hook up those communities’ schools, libraries, and other institutions to Fiber. Kansas City dwellers have the next six weeks to rally people in their “fiberhood.” Google plans to start installing Fiber in homes in September, through the end of 2013.